The top bar is located in the top section of the header and gives you the option to display the weather, current date, sign in/join, top menu and social icons sections. 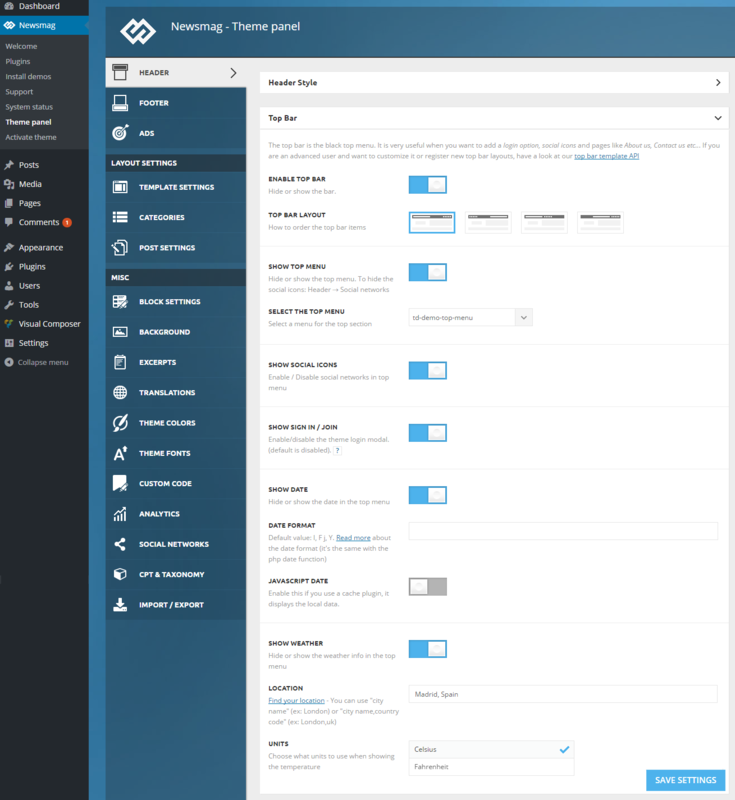 This section comes with multiple customization options, that you can find in Newsmag > Theme Panel > Header > Top Bar. Enable the top bar – The theme comes with the Top Bar enabled by default. Top bar layout – chose the order in which the top bar elements are displayed. Show Top Menu – This option allows you to enable or disable the menu in the top bar. Select the top menu – You can decide what menu you want to display in the top bar section. Show Sign in / Join – In the top bar, you can add Social Icons. Show date – You can display the date in the top bar. After you finished customizing this section, click the Save Settings button.